Profile 22, the commercial window systems specialist, has launched a new triple glazed bead options capable of achieving U-values as low as 0.8 W/m2K. Developed specifically for the commercial and specification sectors the triple glazed bead allows specifiers to achieve Code Level 6 and beyond. Fully tested on an industry standard side hung fixed combination 1230mm by 1480mm window, development also included hardware trials and full opening/closing cycle testing. Andrew Reid, commercial sales development director, Profile 22, said: “The new triple glazed option offered by Profile 22, allow developers to specify an exceptionally high performing and thermally efficient window and one that will deliver against criteria set out under Code level 6. The triple glazed bead option means that Profile 22’s systems can accommodate a 36mm unit. 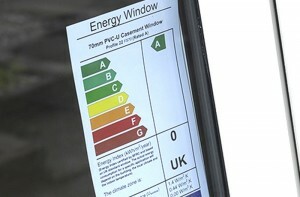 A triple-glazed option is also available in system specialists new RECO22 offering. Again, capable of achieving U-values as low as 0.8 W/m2K, the system is manufactured solely from recycled material. A thin foiled colour or wood grain finish is then added to ensure colour uniformity and to deliver an enhanced aesthetic. Its manufacture from 100 per cent recycled material means that the system cuts the carbon footprint of extruded profile to just six per cent* of that manufactured using virgin material. This has secured RECO22 a dedicated A+ rating across all domestic applications from the Building Research Establishment – a first for the window industry. Reid continues: “Specifically developed for the new build and commercial sector RECO22 is available in 18 different wood grain and colour finishes, plus dual colour options. This includes a range of finishes, for example light-oak, white and cream wood-grains delivering a strong aesthetic match to timber.